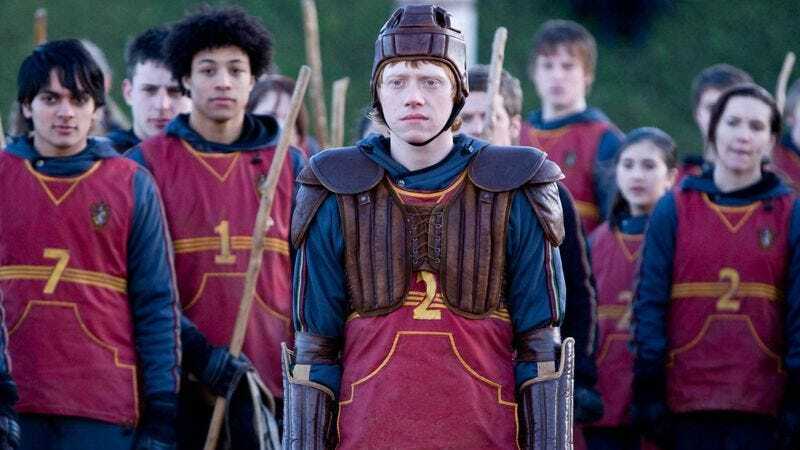 In between working on a play, a movie, and a seven-part book series, J.K. Rowling apparently found time to write an essay on the history of the Quidditch World Cup. The Harry Potter author tweeted last week that if enough people used the hashtag #wizards4Scotlandrugbyteam, she would post the essay on her site Pottermore. Today—apparently satisfied that her loyal group of fans are willing to do her bidding at the drop of a Sorting Hat—she made good on her word and posted the first of two essays about the Wizarding World’s biggest sport. (Sorry, Wizard’s Chess.) The second essay will be posted on March 21.